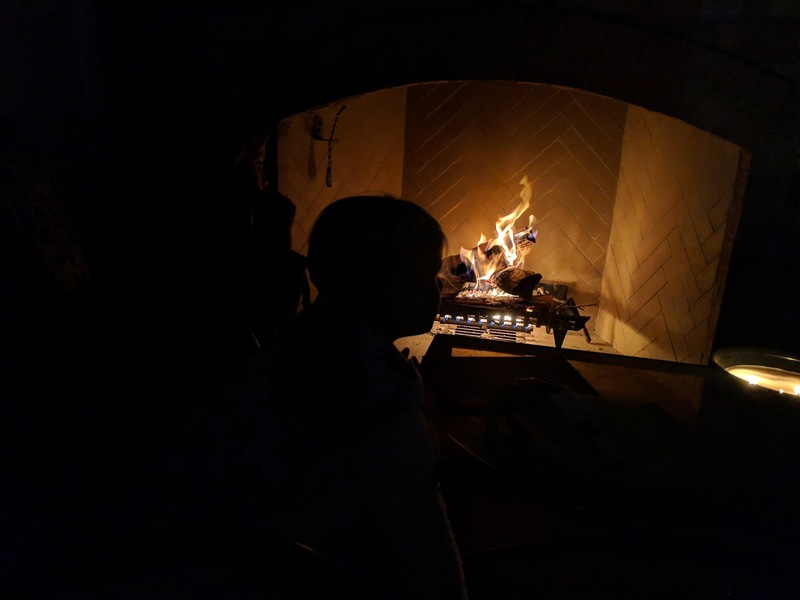 We marked the evening fall temperatures lately with the maiden fire in our new fireplace recently. I posted photos of this fireplace being built earlier on the blog back in March of this year, so you can see the location of this fireplace in that post. I've posted a bunch of pieces on our various fireplaces over time that you can check out here. We loved our outdoor fireplace back in Elmhurst - especially during the fall - when we broke out the s'mores, so I'm thinking we'll get a lot of use out of this new one. Here's a photo from seven years ago showing the kid's cousins toasting their marshmallows. We didn't do any toasting this time, but there's still plenty of fall left, right? And in this one? We have a gas burner, so I don't have to round up kindling and work to get it started each time.